Multi-instrumentalist and educator Rebecca Schlappich has been traversing the world for the past decade, exciting audiences from the orchestra and center stage alike. Classically trained at Manhattan School of Music, Rebecca has since demonstrated a penchant for the spirited edge of rock, pop, and mariachi. Over the course of numerous tours of North America, Europe and beyond, Rebecca’s work is nuanced, current and versatile. Rebecca is committed to music education and mentoring. In 2000, Schlappich launched the RIME academy for beginning musicians, which is currently active in Tujunga, CA. She served and expanded the violin program for the Headstart Daycare Program in Queens, New York, boasting more than 70 of her own private students in the meantime. She is honored to be a participating member of Cultures in Harmony and has had the privilege of working with musicians and members of the community in Egypt, Cameroon, and The Philippines through the organization. 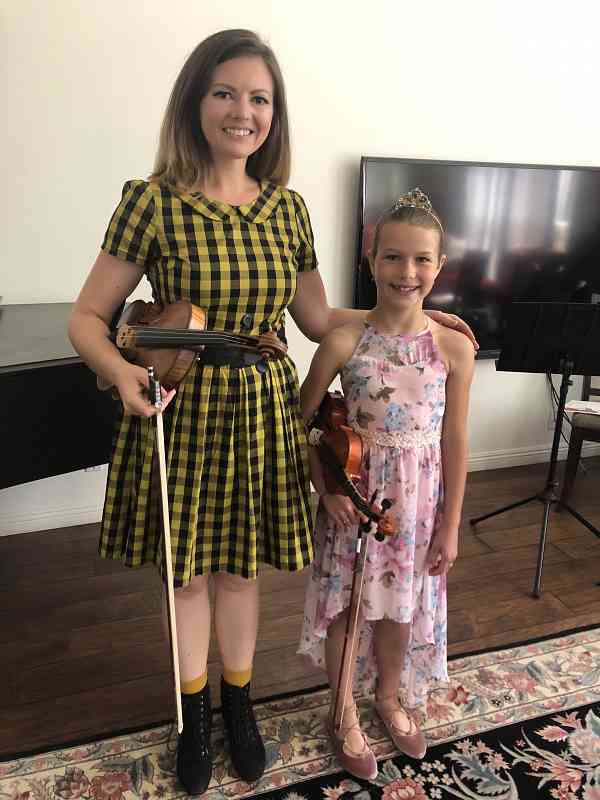 She performs clinics for young musicians in the Los Angeles Unified School District, and has been teaching private lessons for over 15 years. Rebecca is also a touring musician with Mariachi El Bronx, Mariachi Divas, Ben Harper and the Innocent Criminals, and The World/Inferno Friendship Society, and has rocked halls from Los Angeles to Berlin. She has appeared on The Late Show with David Letterman, Good Mythical Morning with Rhett and Link, The Chris Gethard Show, and on Conan, and has performed as a soloist with the Lancaster Community Orchestra. She has performed with the Garden State Philharmonic as well as the Reading and Norwalk Symphony Orchestras—both abroad and in some of America’s most revered venues, such as Carnegie Hall, Lincoln Center’s Avery Fisher Hall, and the Whitney Museum.